The ETH electro cylinder is suitable to replace pneumatic/hydraulic cylinders in many applications and simultaneously increase the reliability of the production process. Taking the costs for air and oil into consideration, you will find that in most cases an electromechanical system such as the ETH electro cylinder offers the more economical solution. Combined with a wide choice of accessories, it offers many possibilities in a wide variety of fields. The whole series is available in five frame sizes with thrust forces of up to 114000 N, with parallel or inline motor configuration. Thanks to a variety of mounting options, customer may combine the cylinder with many different motors and gearboxes. The number of rod end configurations and mounting options offer the flexibility to integrate the electro cylinder into customer application. 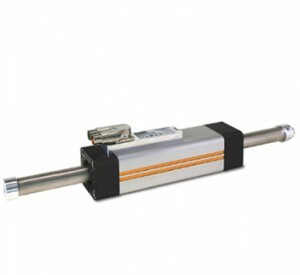 LCB is a compact, robust linear actuator with an external sliding guidance system and integrated toothed belt drive. The construction is simple, economic and robust, which makes LCB a costeffective alternative to traditional toothed belt actuators. 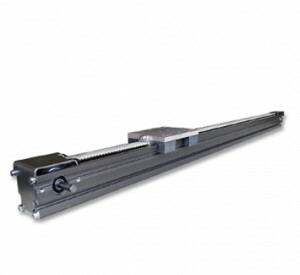 The two available actuator sizes of LCB allow to move a typical payload of up to 30kg at a velocity of up to 8m/s. Different carriage lengths and the possibility of choosing different drive stations allows customer to configure a LCB actuator fitting 100% into the application. • Low maintenance costs due to maintenance free sliding carriage, with a long lifetime. The ETT tubular motor series, available in three lengths and three sizes, is capable of delivering significant thrust values of up to 2083 N peak force, travel speeds of up to 8 m/s and acceleration of up to 350 m/s 2 . With repeatability of ±0.05 mm, the ETT is the ideal choice for all kind of linear handling and pick & place applications requiring high dynamic performance. Precise control and positioning are guaranteed through the use of a 1 Vpp Sine/Cosine encoder. 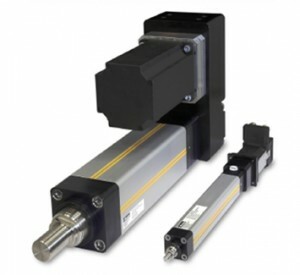 Being cost-effective and energy-efficient, ETT is also the right alternative to pneumatic cylinders in applications that demand greater flexibility and positional control, as well as precise control of force and speed. 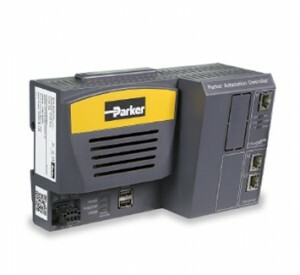 Designed for OEMs to maximize efficiencies while exceeding performance expectations, the EtherCAT based Parker Automation Controller (PAC) combines machine logic, signal handling, and high-speed motion control into a standards based, performance driven, fan-less and din rail mountable solution. This programmable automation controller comes equipped with a native, uninterrupted EtherCAT bus for high-speed I/O and motion control, a modular interface slot for 3rd Party device communication, standard Ethernet and USB ports, and onboard SD program storage. 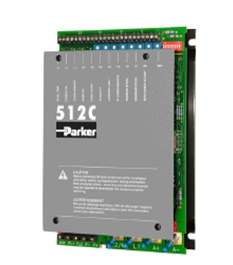 Programmed with the Parker Automation Manager software, OEMs can produce efficient, high-performance control systems based on the IEC61131-3 and PLCopen Motion standards. The PSD1 S is the standalone version which can be connected directly to the main supply. The PSD1 M, a multi-axis system where each power module can supply up to three servo motors. 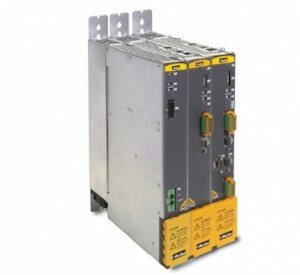 The base configuration consists of a common DC bus supply and multiples PSD1 M modules, connected through DC bus bars. The modules are available as one, two or three axis versions. This makes the system very flexible. PSD-M servo drive is particularly suitable for all centralised automation systems, such as those found in many packaging machines, where large numbers of drives are often required offering significant advantages. Motornet DC is a brushless servo motor system with integrated servo drive, supplied from a DC-bus voltage. 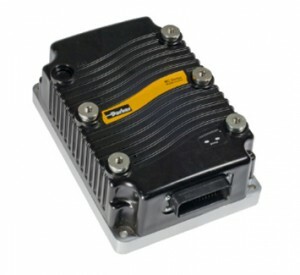 Hybrid power, control and communications cables, a power supply and interface module complete the system and local I/O’s can be connected directly to the motor. Ideally suited to multi-axis applications where a number of motors are mounted in close proximity on the machine, Motornet DC allows a decentralized approach to motion control to be taken. The AC10 Compact Drive is a simple, reliable and economical solution to every-day motor control applications requiring speed or torque control within the power range of 0.2 kW to 180 kW for IP20 and 0.4 kW to 15 kW for IP66. Having compact dimensions and features normally only associated with higher specification drives, including, sensorless vector mode for control of Permanent Magnet (PMAC) and AC induction motors, output frequency up to 590 Hz, 3 phase 400 V supplies in all 11 frame sizes and a full 150 % overload at 0.5 Hz for 1 minute, AC10 provides an optimised solution for OEM machine builders looking for a compact, cost-effective drive without compromising on performance. 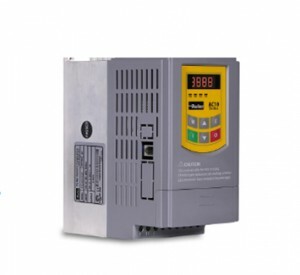 AC30 variable speed drive has been designed to provide users with exceptional levels of control, from simple open-loop pumps and fans through to closed-loop process line applications. Its flexible and highly modular construction enables a wide range of communications and I/O modules to be easily added as required. The AC30 has been designed with simplicity in mind, but this doesn’t compromise its functionality. Integrated macros for a range of applications and PLC functionality enable more capable users to create sophisticated control that would previously have required a separate PLC. The DC590+ uses an advanced control platform to provide high levels of flexibility and performance for a wide range of applications. 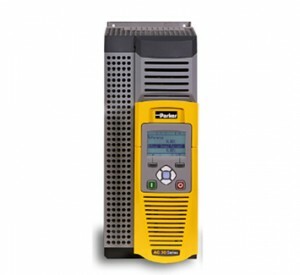 Designed for machine integrators, the DC590+ features function block programming, multiple communications and feedback options and support worldwide. Available as non-regenerative or full four quadrant regenerative. Available from 1-2700 A maximum. 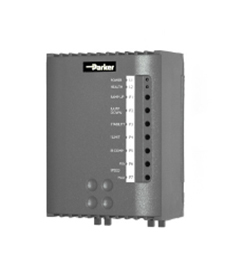 Fieldbus options include ProfibusDP, CANopen, Modbus RTU, Ethernet and DeviceNet. • Automotive test stands compromising on performance. Economical, compact torque and speed control of permanent magnet or shunt wound DC motors. Selectable between 110 VAC or 230 VAC single phase supply. Tachometer or armature voltage feedback, 3, 6, or 12 A armature options. The 512C provides effective torque and speed control of permanent magnet or wound field DC motors. Extremely linear speed and current loops in an isolated package, ideal for single or multiple motor applications up to 32 A, 9 kW. 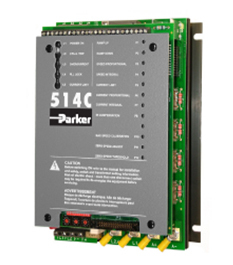 The 514C offers full four quadrant regenerative control of permanent magnet or wound field DC motors. Ideal for applications requiring accurate or rapid deceleration of high inertia loads. 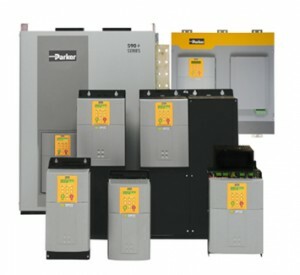 Effective for single or multiple motor applications to 32 A, 9 kW. 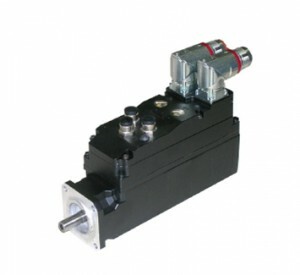 PMAC servomotors offer the best solution to meet the requirements of vehicle duty performance. The torque density and speed capabilities of Parker Permanent Magnet AC motors (PMAC) combined with a voltage matched inverter provide the speed and torque required to achieve breakthrough performance in a variety of vehicle platforms. The GVM is a powerful choice for both on- and off-road vehicles, engineered for Traction, Electrohydraulic Pumps (EHP) and auxiliary applications. The GVM motor line was designed to be used in a wide variety of vehicle applications including; construction vehicles, refuse truck, city buses, street sweeper, motorcycles and scooters, light commercial vehicles and watercraft. MA3 Series inverters combine high performance and motor control with intelligence control functionality. 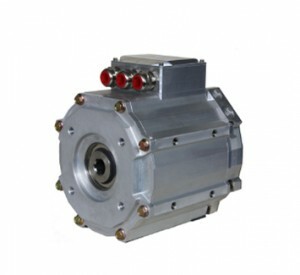 Suitable for either PMAC or AC induction motors, it also offers the flexibility of several feedback options. Speed and torque points can be adjusted instantaneously and performance algorithms optimized to the vehicle needs. On-board digital communications with multiple protocols comes standard, along with a USB programming port. 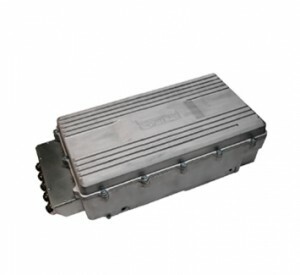 The rugged cast aluminum housing integrates a proprietary cooling configuration and necessary environmental protection for the toughest mobile applications. Providing a motor control solution for battery systems between 24 and 96 VDC, the MC motor controllers provide OEMs with a superb combination of power, performance and functionality. The compact dimensions and high efficiency of this controller make integration into very tight spaces a reality without sacrificing output performance. It’s design has been optimized to produce the lowest possible installed cost, whilst still maintaining superior reliability even in the most demanding of applications.